This week we released another great addition to our deployment service – a way to deploy files from your repositories as Shopify store themes. 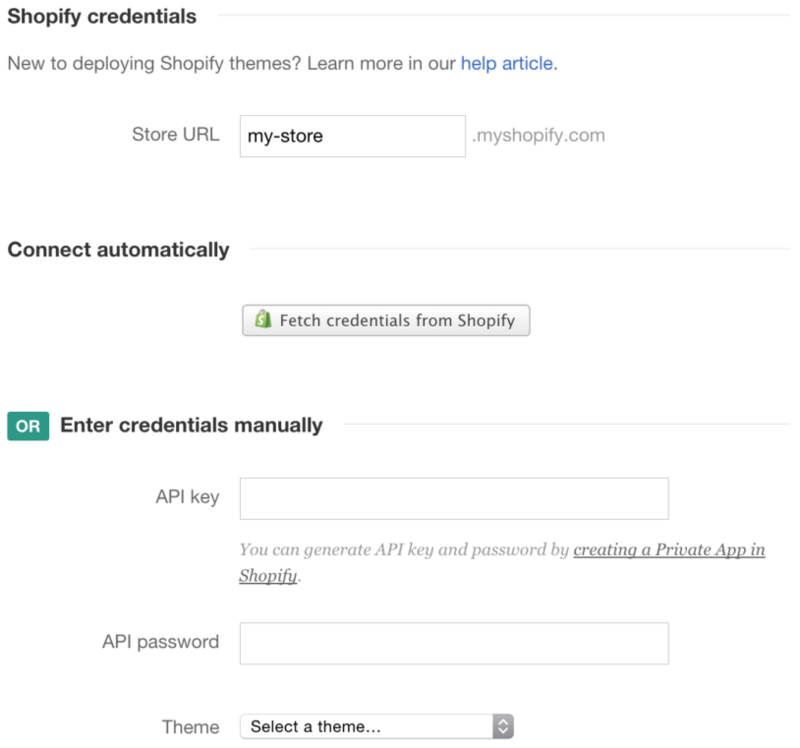 What is Shopify? It’s one of the best ways to build and operate your online store, created with straightforward simplicity in mind. As a matter of fact, we use Shopify to power the Wildbit swag store. Now, with DeployBot you will be able to focus more on working on the store theme in your GitHub or Bitbucket repository, and let us take care of updating the theme in Shopify for you automatically or when you're done with the changes. Using Git for working on your themes can have a great effect on your productivity. By using branches and being able to track the changes between versions, your development process becomes more flexible and less stressful. You also get all the regular benefits of DeployBot: like being able to preview the changes you're deploying, notify people you're working with about new deployments, keep a paper trail of all deployments, ability to rollback to previous versions, and much more. With email, Slack, Hipchat and Campfire notifications, your team will always be in the loop. The process of setting up should be really easy, but if you have any difficulties, please let us know. We'll be glad to help you get up and running. We also wrote a small help article with basic setup steps explained and some common questions answered. Please let us know what you think in the comments below. Do you have other cool ideas of what services we should integrate with?